Seeking help to address your alcohol addiction is one of the biggest and most important steps you will take during your lifetime. Even before seeking help, there is an emotional process that must be negotiated before you are ready to address your issues and consider private alcohol detox. Firstly, there is the acknowledgement that your alcohol use is causing you and perhaps your family a problem. The next step is that you must to take ownership of the problem and acknowledge that only you can do something about it by facing your addiction head on. You may have visited your doctor and been referred to a private alcohol detox clinic. At this point, you will probably be feeling very anxious and need a drink to cope with those feelings. This is to be expected. Your family are probably feeling anxious as well. Everyone involved in the process will require specialist support from the highly trained admissions team to start you on your recovery journey. Referrals to a private alcohol detox clinic or private clinics in general come from many sources. We receive enquiries from doctors, therapists and NHS hospitals. We also receive enquiries from individuals who are seeking help for themselves. Family members contact us seeking help for a loved one. 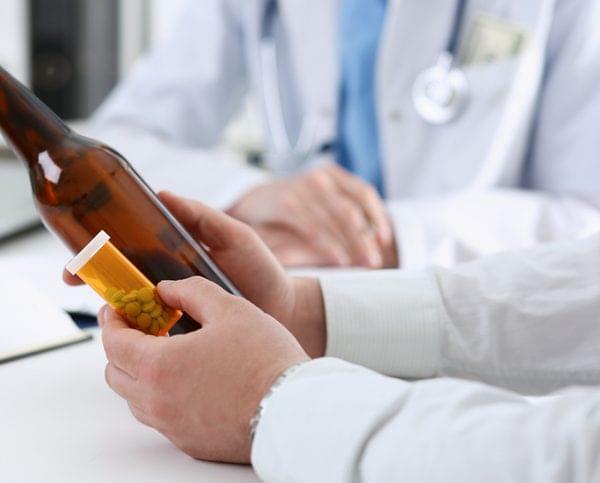 What is vital is that, from the start, the professionals who will be looking after you understand your alcohol addiction right from the very beginning so that they are certain that your specific needs and treatment can be met. An experienced admissions coordinator will conduct a free screening consultation and questionnaire with you. This will cover important topics including your health (both mental and physical) at the moment, your current physical and mental health, your home circumstances and your level of alcohol use. As you would expect, your confidentiality is paramount throughout. From start to finish, the consultation and questionnaire last about twenty minutes. Let us know a date and a time to suit you. You can either complete the process via our internet site or by speaking with one of our experts on the phone. If admission to our private alcohol detox clinic is suitable, then we can move to the next stage which is to prepare you for your time and work with us. After all this, if you then decide that you would like to be treated by us, we then ask for a deposit – one of our admissions team will take your payment details. A great deal of preparation is required prior to your admission. Your treatment is customised to your individual needs and a treatment program will need to begin to be formulated before you arrive. Your bedroom would be made ready for your residential stay. On the day you arrive for your treatment, the first person you will meet is one of our trained alcohol recovery practitioners. When you meet, they will explain to you the structure of the treatment and show you the facilities we have at Ocean Recovery Centre. A medical detox program is put together to meet the needs of each individual patient by a doctor on our medical team. We build this program together with you on the first day of your stay with us, using the steps we outlined during the consultation. Detoxification requires the flushing of all toxins out of your system. In order to manage your withdrawal symptoms, we prescribe you with the latest proven medications that you’ll take during the entire detox process. Ocean Recovery Centre’s team follow the plan devised by your doctor so that your medical needs and clinical requirements are met at all times. How long your alcohol detoxification lasts is dependent on your addiction history – the frequency and level of your alcohol consumption prior to entering is a significant influence on how long it takes. Safe alcohol detoxification times are typically as short as seven days or longer at twenty-eight days. Now that the toxins out of your system, you may be feeling better however you are a long way from full recovery. Recovery from addiction isn’t just about medication and abstinence from alcohol. Full recovery relies upon you understanding your lifestyle and your addiction triggers. Rehabilitation can be an incredibly emotional and painful experience as it is a very personal matter that requires a range of psychological therapies to help the sufferer recover. Recovery staff are available for support 24 hours a day seven days a week during your stay at our private alcohol detox clinic. Your treatment program is individually designed to make sure you achieve your recovery goal. The program will use a combination of group and individual therapy sessions. These therapies will help you to understand your addiction and offer strategies that will help you to achieve your recovery goals. Once your residential stay is over and you return to your normal life, it is likely you will encounter relapse triggers – those things that made you drink before you came for treatment. This will test your willpower and you will need to use everything that you have learned during the treatment program to stay on track. Even after your stay is over, we provide you with a comprehensive aftercare treatment program. These plans are in addition to the therapy you benefited from when you stayed with us in the residential part of your program. The plan is designed to help you to forgo temptation completely in the first 12 months following the completion of your residential stay. The plan will be tailor-made to your individual needs and the personal challenges that you experience in everyday life. There is further support available from the experienced aftercare support team. 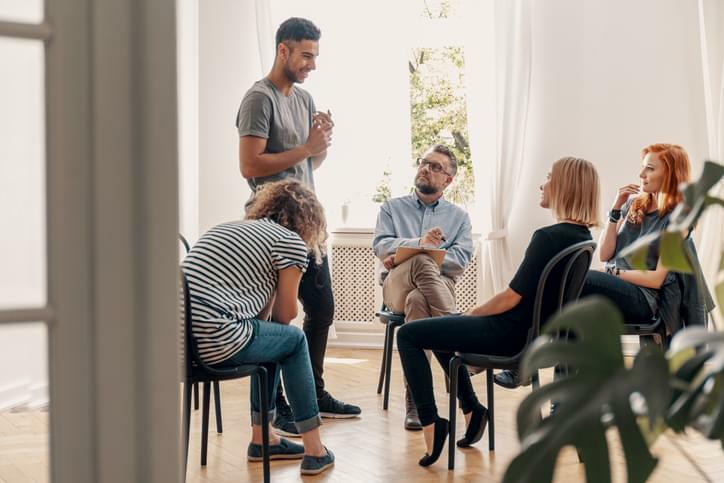 Aftercare support is staffed by specialist professionals, counsellors with addiction training, vetted volunteers, as well as other treatments mentored by patients who have made it successfully through their own rehab program and who want to help you. This team are there for you so that you can achieve the recovery you want. Many patients have told us that the team were the difference between staying on the right path and relapsing in the early days. It’s not unusual to feel a huge temptation to drink again once your stay at our private alcohol detox clinic has finished, this is why the team are there to support you with what you need to make sure that you stay in charge of your own recovery. To find out more about our private alcohol detox service or anything else, please call Ocean Recovery on 01253 847 553. Email info@oceanrecoverycentre.com or visit our website www.oceanrecoverycentre.com. Posted on Thursday, January 17th, 2019 at 1:31 pm in Alcohol Addiction, Latest News, News, Rehab.